Eeerrgghhh. I am sick. I have the plague. I’m doooooomed! Well, not really. It IS just a head cold but I just want a clear head again. In my congested haze I got bored and turned to baking to zazz up a dreary Saturday afternoon. With a bowl full of pie-filling cherries and a packet of cream cheese in the fridge, and frozen puff pastry sleeping in the freezer, these cherry Danish pastries were born. 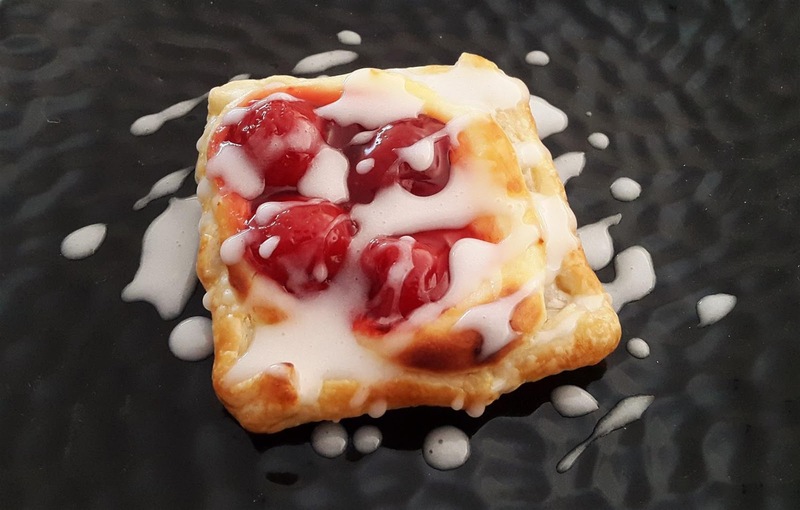 Nothing beats a head cold like a sweet crunchy pastry, right? Mix up cream cheese, vanilla, powdered sugar and blood orange juice > check. Assemble pastries, bake, glaze and eat > check, check, check aaaaand check. The recipe is thanks to the wonders of internet searching, and can be found on Shannon’s ‘Rumbly in my Tumbly’ blog. Check it out! She also has a cinnamon roll cake that I am dying to sink my teeth into. 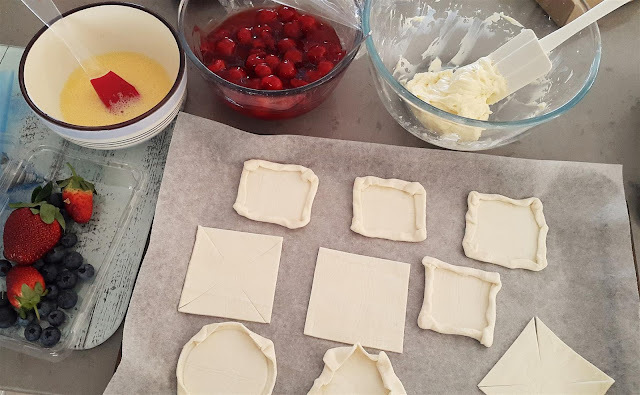 Defrost the pastry and cut into 9 equal squares. 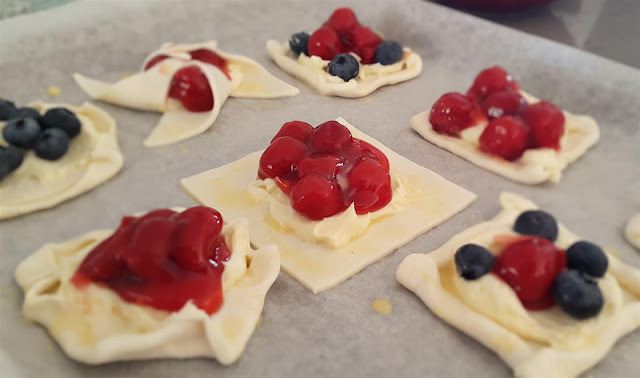 Have fun shaping each piece by either turning up the sides to keep the square shape, moulding against a round scone cutter, or creating pinwheels. 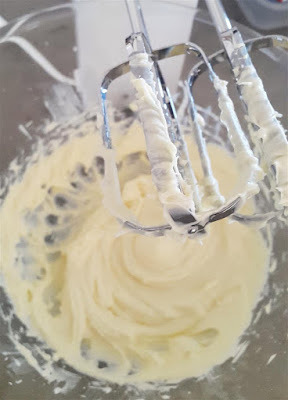 Mix up the cream cheese, sugar, vanilla and orange juice until light and fluffy. Assemble each pastry by spooning on a little cream cheese mixture then top with cherries, or other fruits. Brush the pastry lightly with the beaten egg and water mixture. 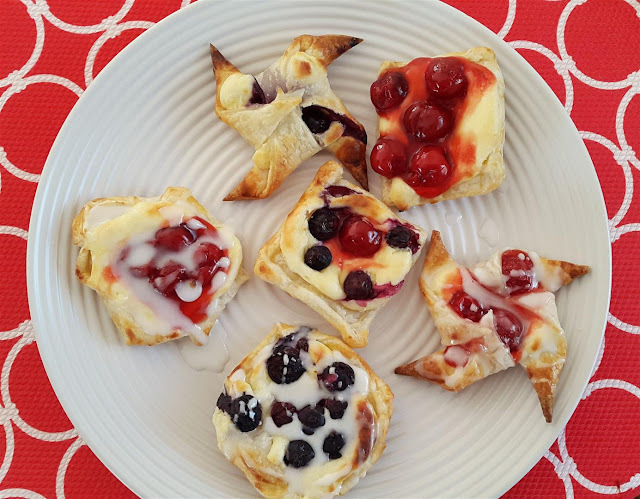 Lay the pastries on a tray lined with baking paper, and bake in a 200 degree oven for around 10-12 minutes. Keep an eye on the pastries while they are cooking, as some (ie the pinwheels) will be done faster than the others. When cool, drizzle over the glaze, and enjoy. Boooooo to colds, especially getting one on the cusp of our Spring. I hope Serina you are feeling better soon. Next time, I'll gladly whip up a batch and send it your way. Sabrina sadly they didn't last until breakfast the next day ;) But they are an any-time-of-day treat. Hi Krista, my cold has finally gone (thank goodness!). 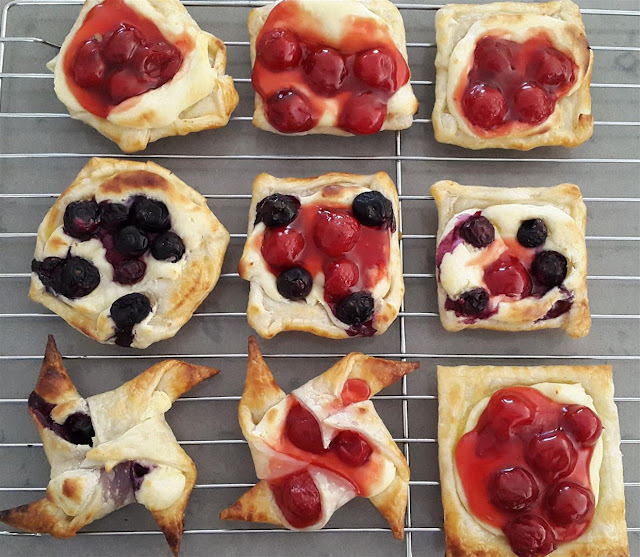 These were so darn easy to make, I'll have to add them to my next work morning tea bake list. Yum, these cherry pastries look incredible! Hope you feel better soon. Thanks Jennifer, I am feeling much better now. Thank you! I was chuffed with my new found drizzle technique. I love this!! They're so pretty. I think it would make an awesome breakfast or dessert treat. Hope you're feeling better! I certainly am feeling better Cheryl, and thank you. I am so happy how these turned out. I hope you get well soon, for me I can't imagine myself baking when feeling awfully sick, I will probably lie in bed and sleep all day, and the only thing I will be cooking, is a can of chicken noodle soup. 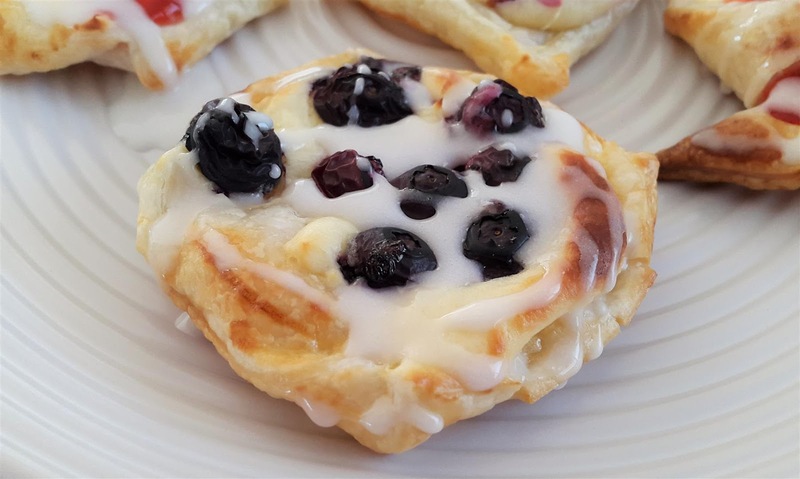 It's another must try recipe added on my list, it looks delicious and love to have them on my breakfast and snacking. Eloise, I was so sick of lying around and being fatigued. These perked me up so much! I am sure the buttery sugary pastry healing powers were in full flight. They were delightful to make. These look delicious and colorful, would be perfect with tea! Thanks Prateek. I have future visions of making them teeny tiny, then you could pop a few with a hot drink.